One of a kind and Limited Edition ‘Eco-Friendly’ Jewelry. 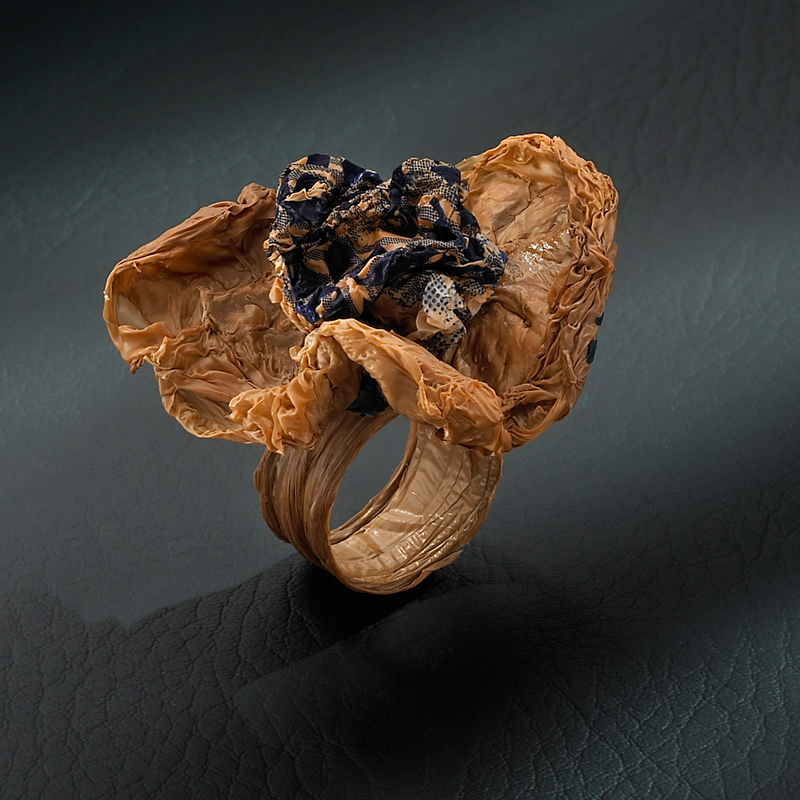 My Jewelry follows the “up-cycling” movement which aims to re-evaluate the worth of waste by reinventing and reclaiming discarded materials in new and unexpected ways giving it a ‘Second Life’ by transforming it’s beauty into ‘Something New’. All of My Jewelry and accessories are entirely hand-made by ‘manipulating’ used and disposed materials. 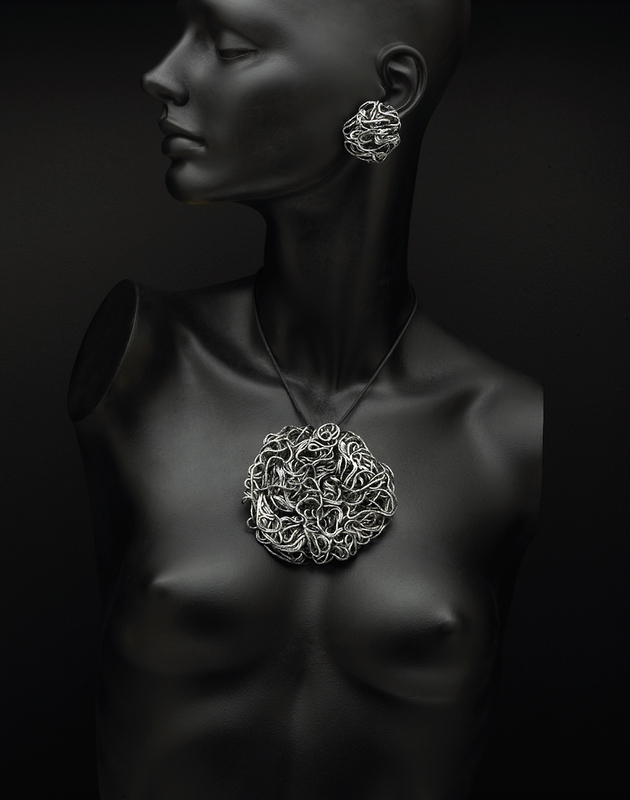 The reused materials give the jewelry and accessories a strong identity with unique characteristics effectively making each piece a distinct and unique work of art. My process and my inspiration are material-focused. Using non organic discarded materials and reworking them to create unexpectedly organic shapes and patterns. I aim to create Jewelry and Accessories that force you to look at the ordinary in a new in an extraordinary way. I strive to make jewelry that is distinctive and surprising…..jewelry that is contemporary and makes a creative and thoughtful statement. The work came to life through a common deep rooted passion to working towards sustainable development. In our over-consuming society, already struggling to solve the problems of tomorrow, eco-design offers a new path towards more environmentally friendly products, by ‘up-cycling’ or ‘repurposing’ discarded materials into useful and viable Works of Art. My husband and I own a Commercial Photography Studio that specializes in photographing and Styling Jewelry, so I’m always exposed to lots of traditional jewelry for the commercial market. Because of the sheer amount of conventional jewelry that we constantly work with, I find myself increasingly attracted to a more Avant Garde style of Jewelry. 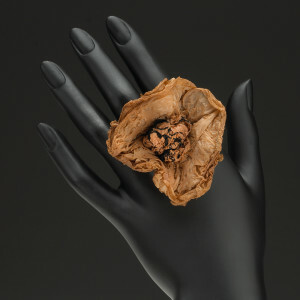 New styles of jewelry that is formed in the workshops of artists and designers who create more experimental jewelry. Rather than following a more traditional and mass produced route I am more interested in exploring and discovering new forms, of intellectual and alternate material based solutions. My mother Judy was one of those artists, and as a teenager, I delighted in seeing her innovative accessory designs rock the runways at major fashion shows and Carnival productions for Caribbean designers like Meiling and Peter Minshall. I will always be inspired by those artists who are constantly breaking the rules, pushing the boundaries, and paving the way for the modern and progressive thinking of jewelry as a contemporary art form. While I do have a need to share my thoughts, ideas and discoveries, I mostly work on my own, in silence, focused on what I am doing – like a mad scientist or inventor pushing the limits of what is ‘traditional’ or expected. The majority of my work has never been seen, I have always been quite satisfied with the sheer joy I feel as I get lost in my own process of discovery, experimentation and creativity. But I do enjoy the reaction of my friends who stumble upon the work in my studio or enquire about a piece I may wear. In retrospect I feel that the final effect of my work has to be shown and shared. I defeat the purpose of the work by keeping it to myself, because the very act of sharing My Work, brings my artwork to life and allows me to exist as a creator. As an artist I am a work in progress, always growing, always learning, always inspired by the possibilities. I am constantly standing at the beginning of the next stage of my creative journey, full of passion, emotion, unfettered openness. I continue to search for my own artistic identity, and I freely experiment with different subjects and materials. I have much to learn, and am not overly concerned with polished, artistic good-manners, I accept that I am not fully aware, and because of that I can express myself in an honest and authentic way. My work is characterized with transformation, purity of form and the metamorphosis that occurs when materials completely change in appearance and character creating a new elegant and organic piece, and at the same time demonstrating innovative techniques and new material solutions. I always have the strongest connection with my Newer Projects. Although, I know that my most important pieces are those that are still ahead of me.